Chicken. Salad. Sandwich. Those three words conjure up some great memories for me: A chicken salad sandwich is the first real sandwich I made all by myself when I was in grade school. 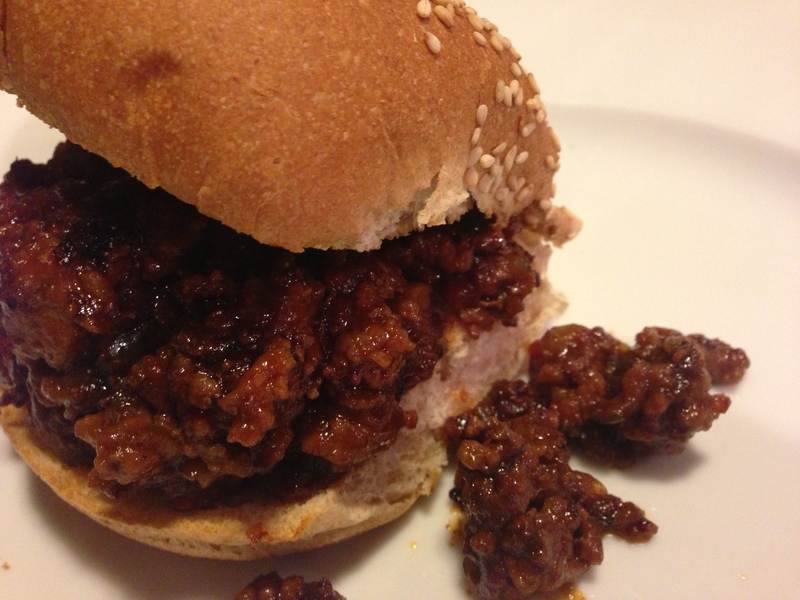 It’s a savory sandwich filling that hits the spot, and very well done in some eateries, not so well in others. So, in response to popular demand, here’s the story of The Food Lover’s Favorite Chicken Salad Sandwich. My first real chicken salad sandwich was created by me when I was in seventh grade. 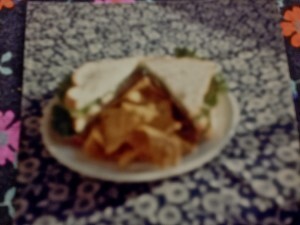 Here is the first known food photo taken by me in my entire life — and of that chicken salad sandwich. I think my photography skills have improved a bit since then…. Years ago, when I assembled that first chicken salad sandwich, I was living in Germany. Although we lived on an American military base with a nice well-stocked commissary, we still had challenges in getting fresh “American” ingredients. 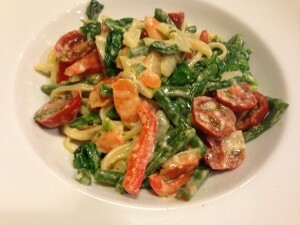 Back then, I used Miracle Whip salad dressing instead of mayonnaise. Once in a while, we were able to obtain a loaf of actual real Wonder Bread — an American Treat at the time! I haven’t eaten Wonder Bread in years, now preferring whole grain breads to white bread. But it really made that sandwich taste wonderful! 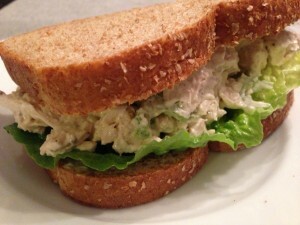 The chicken salad sandwich that I remember most was from Alan’s Deli in Ocean City, MD. Although I don’t know if that deli is still around, I sure can still taste that summery chicken salad sandwich. Lots of cracked black pepper seasoned the chicken salad with just enough mayo — packed high on freshly baked thickly-sliced wheat bread. No lettuce or tomato to detract from that chicken taste! What a sandwich! Recently, and slightly related, I sampled a scoop of an outstanding chicken salad at the Kool Bean Bistro (now CLOSED) in Ocean View, Delaware which was served on a bed of wild greens and sprinkled with some bleu cheese crumbles, pistachios and dried cranberries. 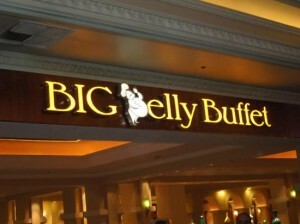 Makes me want to drive back to Delaware just to taste it again! Now back to the sandwich…. 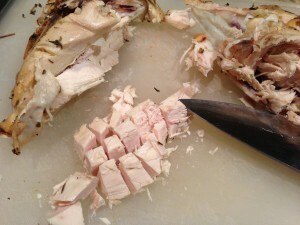 In my opinion, the best way to prepare the chicken for the sandwich filling is to roast a whole chicken. When the chicken is roasted, remove the meat from the bones, and pull and shred or dice the meat — it’s up to you based on the consistency that you prefer. Be sure to remove any bones or gristle pieces. 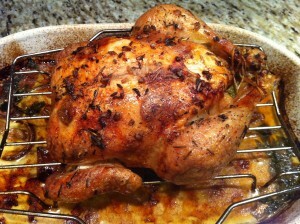 You can always purchase a roasted chicken from the rotisserie of your local grocer. Or you can poach a chicken breast with some chicken stock. I’ve found that the roasted chicken has a much better flavor. My favorite commercially-produced mayonnaise is Hellmann’s. It’s known as Best Foods mayo on the West Coast. It has just the right amount of eggy flavor…and also a nice thick consistency. A healthier option than Hellmann’s is Just Mayo which contains no eggs. Use a bit of mayo and add more as needed. Remember you want a nice mayonnaise binder for the chicken salad and not a soupy consistency with too much mayo. Then add some minced sweet onion, thinly sliced celery, and celery seed (optional) to the mayo and chicken and mix it all together. Add a tablespoon of dijon mustard if you wish. Serve on crusty bread slices or even a croissant or your favorite sandwich roll. 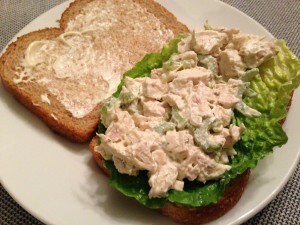 And here it is: The Food Lover’s Favorite Chicken Salad Sandwich!!!!!! 2 slices of your favorite bread, or a croissant or sandwich roll. 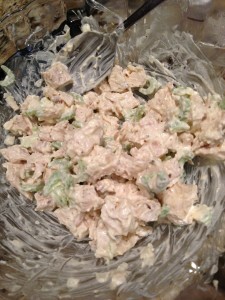 Mix together chicken breast, celery, onion, celery seed, sour cream, and mayo. Season with salt and pepper. Spread mayonnaise on your bread slices. Add the chicken salad to one bread slice. Top the chicken salad with a lettuce leaf. Place the second bread slice on top of the lettuce. Slice the sandwich in half or in quarters — just like Mom did when you were a kid! Enjoy! Makes one hearty sandwich. Serve with potato chips and sweet or dill pickles! 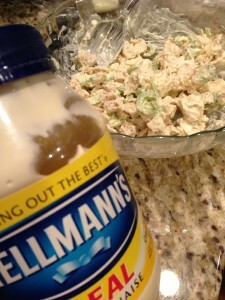 Variations: Omit the sour cream if you wish — I think it makes the chicken salad creamier! Add a tablespoon of dijon mustard if you like a “tang.” Serve the chicken salad on toasted bread. Add a slice or two of tomato if you wish. 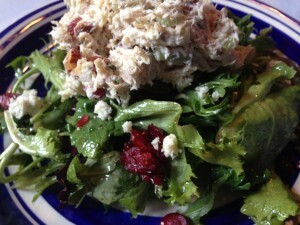 For a different flavor, add dried cranberries and chopped pecans for a more festive chicken salad filling. Serve over lettuce leaves instead of using bread for a tasty lunch salad.